the back of housing (park with barbecue, garden table), your entrance and parking. departure for the pic du midi. - 2 checks for deposit (350 € housing and 60 € cleaning) returned 15 days after departure if everything is in conformity. - Baby kit made available. Tenants have to clean (kitchen, sanitary, vacuum cleaner) and make the house clean. For any information, you can contact us at 06 82 42 97 59. 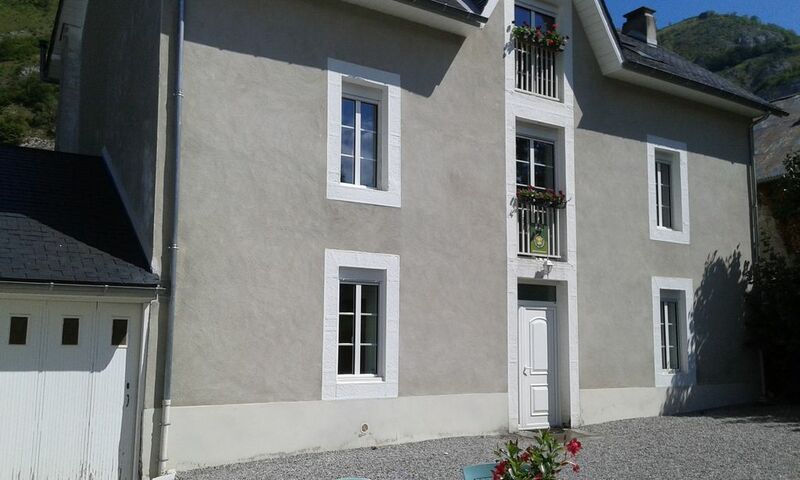 The house is located in Bagnères de Bigorre triangle (market on Saturday morning and afternoon), Lourdes (famous religious site) and d'Aspin and Tourmalet passes. Summer and winter you can discover the Pic du Midi, Pyrenees great site (http. // Www. Picdumidi com /). Possibility of joining Bossos, Spanish border (80 km). Shuttles to the resort of La Mongie-Barèges are put in places. A stop outside the house. By late afternoon, enjoy a moment of relaxation and well being in the center of Whirlpool, Aquensis-The city of waters with spas, hammams, Jacuzzis, massages ... (Http. // Www. Aquensis en /).